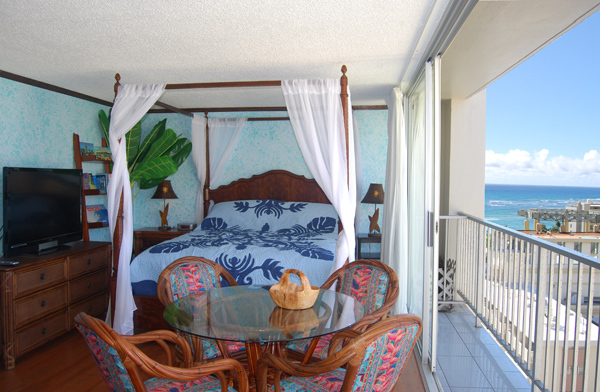 Enjoy your vacation in Hawaii in our spacious studios, all with gorgeous ocean views. 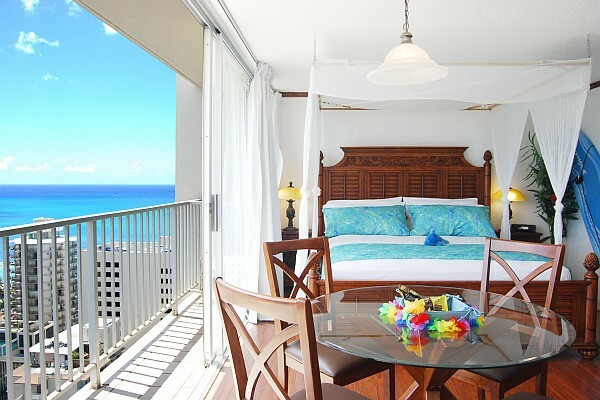 Located in the heart of Waikiki, just 2 min walk from Waikiki's beach, our Hawaii vacation rentals are surrounded by world class dinning, shopping and activities. 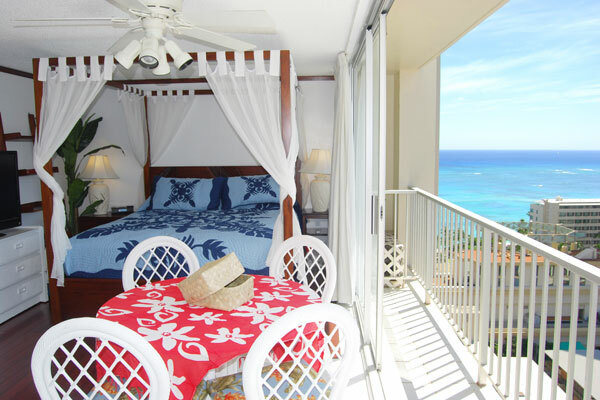 You will watch free hula shows on Kuhio beach, snorkle arround colorful fish and enjoy the tropical breeze from your lanai.